Some time back I said that I will start Building Mechmate as I got my right wrist broken in an accident it was postponed. Now I am well and started it. I had collected all the material. 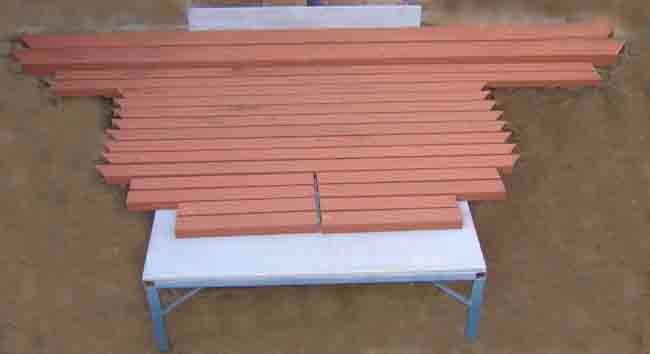 I have cut all the raw material for the Base Table according to above size. Instead of 50mm Pipe I will be using 3" X 1.1/5" Channel. I hope within a day or two the Base Table will be completed. I will post my day to day progress with pics. Sorry to hear about your wrist. Good to hear that you are cutting steel! Congrats on starting out on your Mechmate, looking forward for your Mechmate's pictures to guide many towards their build like that of Fabrica. Hope you recover soon from your injury. 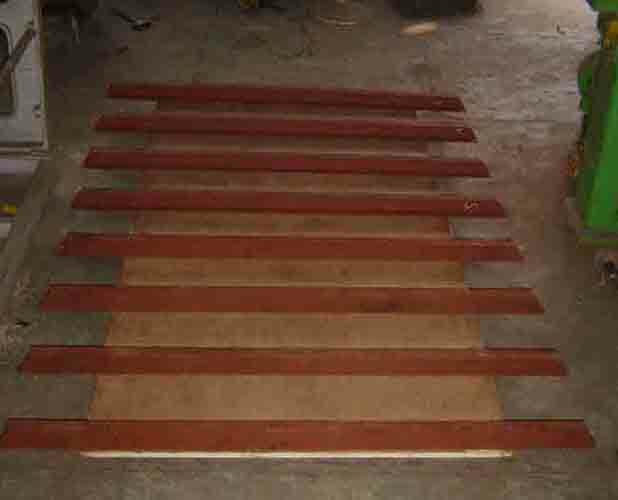 Here is Raw Material for Base Table cut and painted with Red Oxide ready for fabrication. Thanks Kim, Today I will start Drilling MDF Board and start assembling. Here is the Assembled MDF Board. I made a drill jig to make holes in the MDF Board and Channels. This was quite easier than using MDF Board as jig to drill holes in Channels.Because Holes in the channels were drilled on Drilling Machine rather than Electric Hand Drill. "I made a drill jig to make holes in the MDF Board and Channels." Would you mind giving details on the jig you made? I am getting close to this process and would benifit from your experience. It is very simple Jig made from 1.1/2" angle Iron cut exactly equal to the width of the MDF Board and then drilled with 5/16" drill according to drawing.I will post the picture of the drill jig. Drilling channels and MDF board took only 1.1/2 hrs to comlete the job. 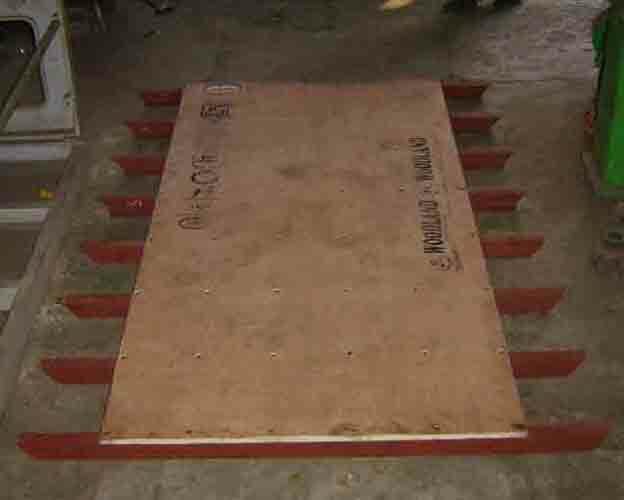 Manjeet, it was never intended for the mdf to be used as a drill jig. My intention was only that the MDF be screwed to the cross-bearers before (and during) welding because it holds everything in the right place and squares the whole table. I have not studied those drawings in detail yet, but my "initial" impression was to use the MDF for a drill jig. That won't happen now. Only as a weld jig. I should be cutting rails this weekend. Stay tuned. This sure is one fun project. May be it was a confusion but I did according to your drawings and my thaught to make it simple and easy to do it. Can you please give me BOM and wesite links to procure them? You might want to look at the dates on this thread. Its 7 years old.